Earn 237 loyalty points with the purchase of this product. 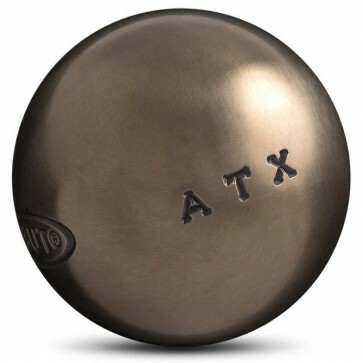 Obut ATX balls : The rolls of petanque balls ! 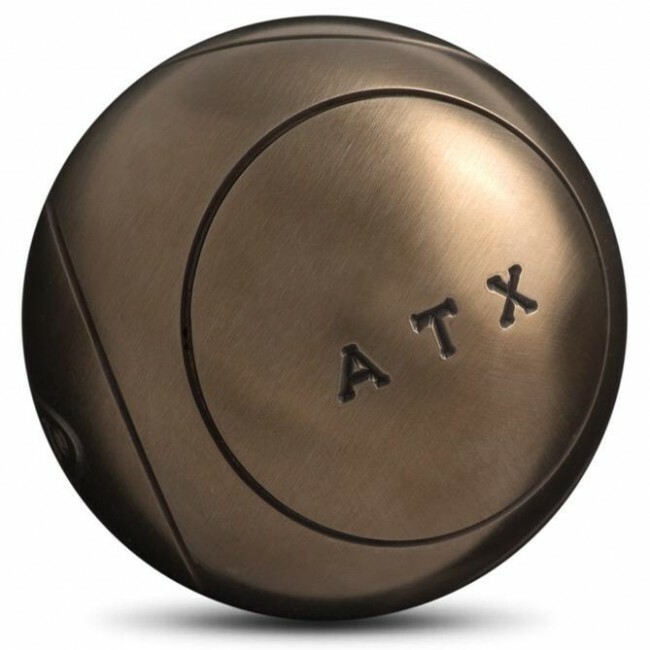 Used by the most famous players in France and abroad, ATX balls are super top range. Reserve for competitor, they are made to order, to measure, set by set. Stainless steel nickel chrome, choose for this ball, is also used in aeronautics industry and atomic energy. His very technical conception allows to each palyer to personalized his game, by differents effects. Elastic limit at 0.2 % (100 kg/mm²) of this steel give weak rebond. This also limit chocs making on the area of the ball. Very solid, his balancing is perfectly controled. Solid stainless steel only requires an occasional maintenance. 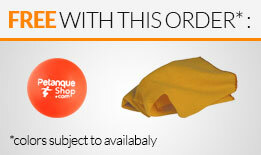 - 3 balls deliverd in cardboard box with microfibre cleaning cloth and wood jack approved for competition. Obut ATX ball is available in smooth version or with patterns. Beyond esthetic, patterns allows balls to stop easily on the ground. Read our advice to choose your petanque ball. Good quality for point and shoot ! Set of 3 balls. Petanque ball pink "Carbon 120" La Boule Bleue half-tender.